Perhaps somewhat inevitably, it has been announced by Warner Bros. that the sequel to last year’s huge hit Aquaman is now officially in development. It was inevitable not just because it’s a modern superhero film – and it’s rare when they don’t get sequels – but because it’s on track to become the highest grossing film in the DC Universe after taking more than $1 billion at the global box office. The studio are now working with the first film’s director, James Wan, who is said to be ‘overseeing’ the development of the second film, including who is going to pen the script. 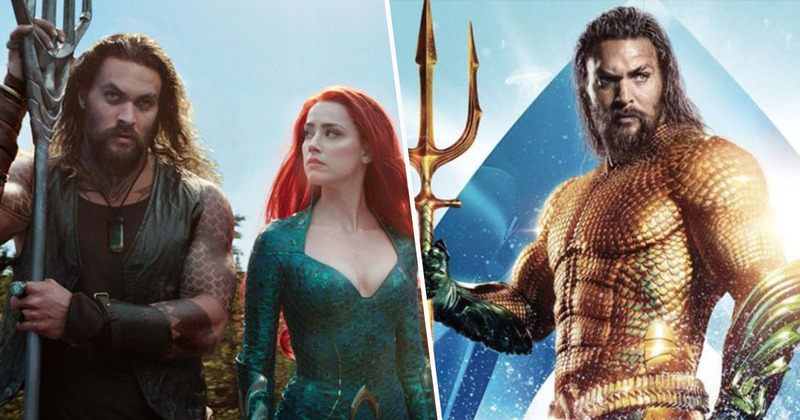 As Deadline reports, Aquaman‘s box office takings currently stand at $1.07 billion – just $17 million shy of Christopher Nolan’s 2012 Batman film, The Dark Knight Rises. When Jason Momoa’s amphibious action hero surpasses Christian Bale’s caped crusader, it will bring about a new era in the DC Universe. Once dominated by the murky streets of Gotham, the underwater kingdom of Atlantis is set to become the unofficial capital of the Warner Bros. franchise. Before The Dark Knight Rises, the highest grossing DC film was 2008’s The Dark Knight, and before that it was 1989’s Batman, directed by Tim Burton – so it’s been a while since Gotham was not the DC Universe’s capital of crime. It’s also no surprise the studio are keen to keep James Wan on board – he is the only director to make billion-dollar movies for two different studios. As well as Aquaman, the director’s Furious 7 (of The Fast and the Furious franchise fame) also raked in a whopping $1.5 billion for Universal in 2016. While he’s said to be holding out for the right script, Wan is expected to stay with the Aquaman series, as he has reportedly said he sees the underwater world of Atlantis to be comparable to Middle-earth, the Jedi Galaxy or the wizarding world of Harry Potter. While Jason Momoa was obviously pleased with the film’s success, his co-star Amber Heard is also keen to return to her character Mera. [I love] that she’s a badass and she saves the day and she saves him on multiple occasions, I love that. Also, I love that he plays a more complex hero, one who’s flawed and is human and is sensitive. We allow the hyper masculine image on the outside to be countered with sensitivity and emotional depth. We’re not just challenging female representation, we’re challenging male representation and I think both need to be addressed. Aquaman is in cinemas now, if you haven’t seen it. Aquaman 2’s release date is TBC.